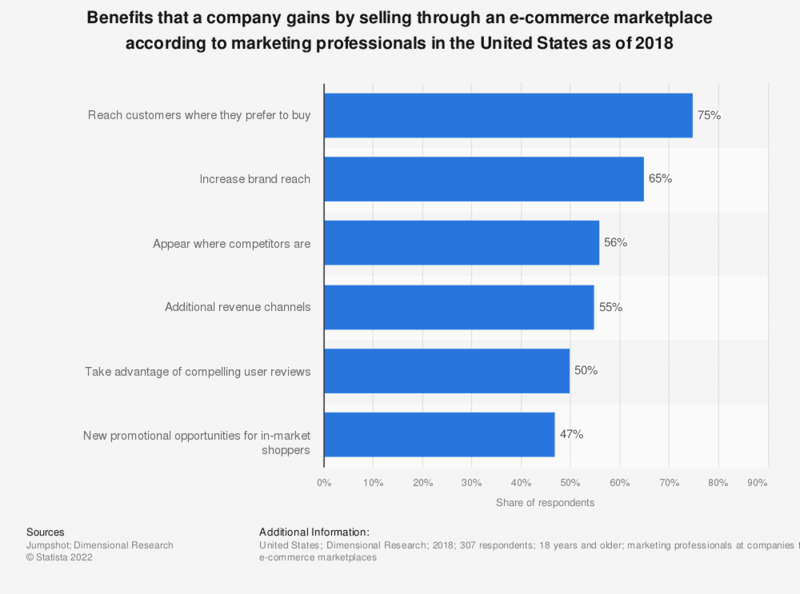 This statistic presents the most common benefits that a company gains by selling through an e-commerce marketplace according to marketing professionals in the United States as of 2018. According to the findings, 65 percent of respondents stated that the primary benefit obtained when selling through an e-commerce marketplace is the ability to increase their brand reach towards online customers. Question: "What benefits does your company gain by selling through e-commerce marketplaces?"